I certainly appreciate the nice Amazon review that Greg Clonts submitted. Thanks, very much, Greg. Here are his comments. TTU continues to mention By His Own Blood on its various websites. I have had a number of former classmates and professors contact me after reading these articles. I do appreciate it. A few years ago my husband and I had the good fortune of becoming neighbors of John and Karen Montandon. It wasn't until I saw "By His Own Blood" prominently displayed in the window of a local bookstore, and bought a copy, that I learned of the tragic ordeal that the Montandon family endured during the final years of John's father's life. My background and career have been dedicated to agriculture, so I am pleased to see this video. Even if you don’t know a lot about modern-day farming, you still might find this John Deere video interesting. It is an outstanding presentation of where Agriculture, Precision Ag and Farming Technology is heading. Turn on your speakers so you can listen as you watch. Its good to see that By His Own Blood is now featured on the USA Book News web site. and their various genre links. I have just edited and re-written a short story version of a part of By His Own Blood to be published as a magazine article or be the first of a series of articles. So, for those of you who might like to read the story or sample the book before you buy, just visit my web site at www.byhisownblood.com/story. I'd love to get some feedback from readers. 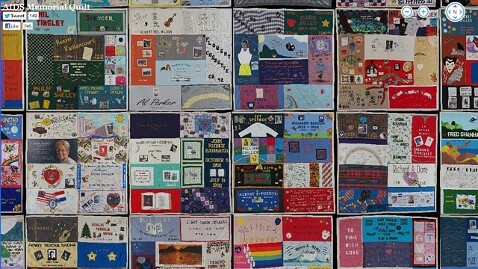 Book to be part of "Quilt in the Capital 2012"
By His Own Blood consists of approximately 100,000 words. Before final editing took place, I had written over 200,000 words, so I had to get very serious during the final editing process, otherwise the book would have approached 600 pages, which would have been too long. In reality, much of the copy was not entirely relevant to the story I wanted to tell.